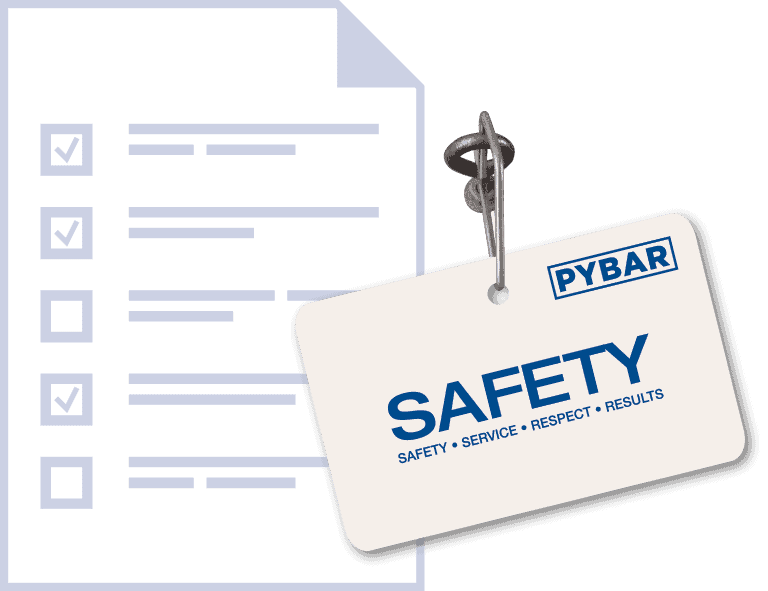 The principles of risk management and continuous improvement are a fundamental part of PYBAR’s overall business strategy. Safety resides at the core of our values and supporting this are key strategies to manage our underground projects safely and improve performance. At the core of our Safety Management Plan is our Occupational Health, Safety and Welfare Policy which ensures that the health and wellbeing of all workers and the communities in which we operate is protected. A project-specific Safety Management Plan is prepared for every project. Risks are assessed against PYBAR and client standards as well as legislative requirements. PYBAR’s risk management approach is based on the requirements of ISO 31000 and Australian Standard: 2004 – Risk Management.